The Furniture Classics 2400AB30 Morris Media Cabinet is available in Hickory Park's, North Carolina Furniture Galleries. Hickory Park may be restricted from showing prices, however please select the Click For Quote button and Hickory Park Sales and Design Staff will reply or please call (828) 322-4440 for more information. 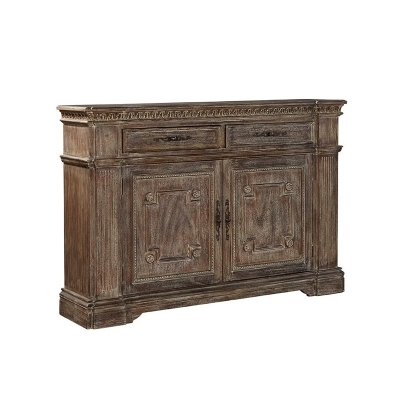 This handsome cabinet is crafted of solid mahogany with a soft cocoa finish The soft cream glaze highlights the fluted pilasters, as well as the unique carved moldings and rosettes on the doors While scaled to give the appearance of a massive piece, the shallow depth makes this cabinet perfect for supporting a large TV without taking up a large footprint. Click here to receive price quote for Media Cabinet 2400AB30 item.